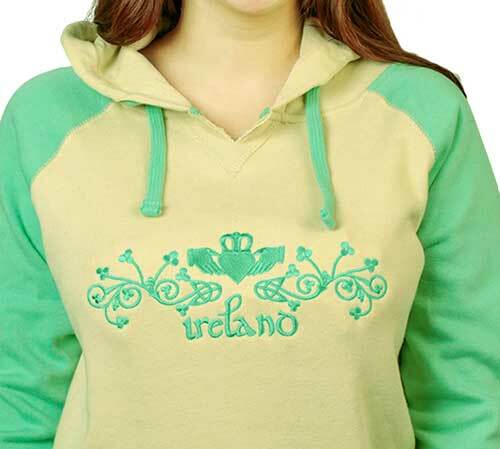 Irish sweatshirts come in a variety of designs that include shamrocks and Celtic knots. 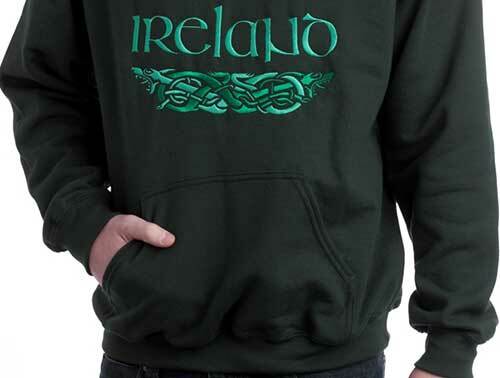 We also feature Irish hoodies with various Celtic icons. The Irish sweatshirts at The Irish Gift House are available as pullover and zippered styles along with crew neck and hoodie fashions. 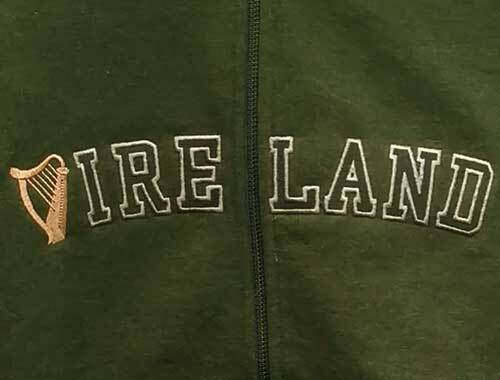 The Irish hoodies are available with either printed or embroidered designs that will embrace your Irish heritage while keeping your warm and toasty. With special order we can also provide sweatshirts with your Irish coat of arms. 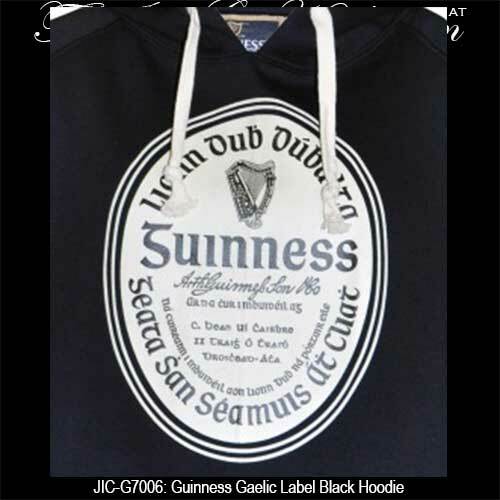 Guinness sweatshirt is a black hoodie that features the iconic Guinness label in the Irish language. Irish sweatshirt is a crew neck pull over that features Celtic knot-work along with the Irish harp. Coat of arms Irish sweatshirt features an imprinted design on the left chest. 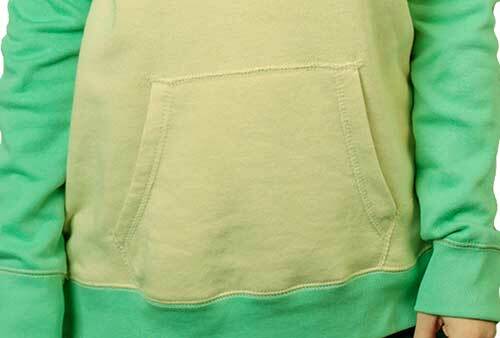 Irish sweatshirt is a forest green design that features an embroidered Claddagh. Our Irish flat caps are the perfect complement to pair with one of the Celtic sweatshirts at The Irish Gift House but you may also wish to consider the Irish beanies and the baseball style Irish caps too. All these designs look stylish and handsome in their own right. 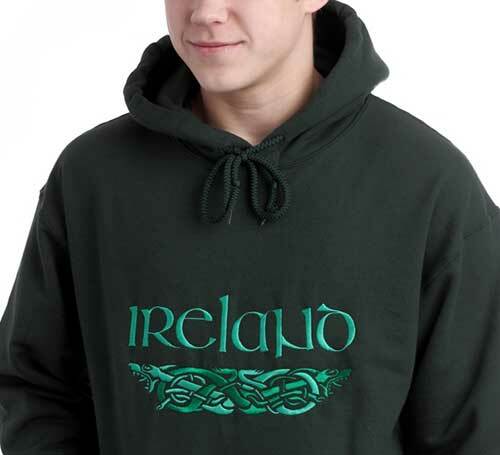 You may also wish to select an Irish t-shirt to wear under your hoodie or crew neck and then you will be able to show symbols and icons of your proud heritage if the temperature warms.